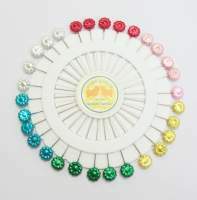 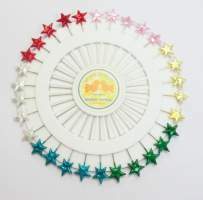 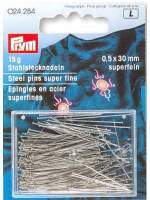 Pin wheel with leaf head pins Approx. 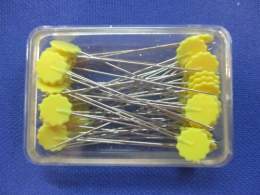 2.5" long 30 pcs. 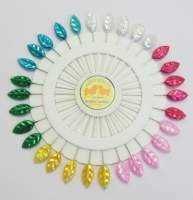 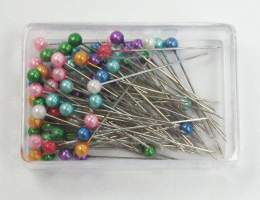 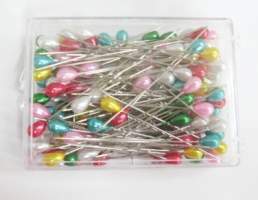 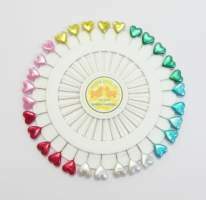 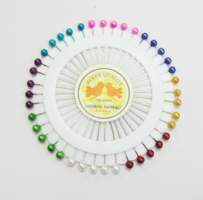 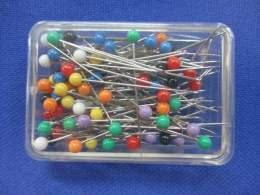 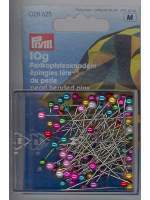 Large pearl pins - assorted colours (Can also be used as corsage pins) Approx. 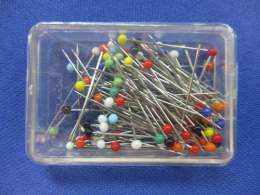 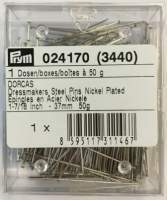 2.5" long 144 pcs. 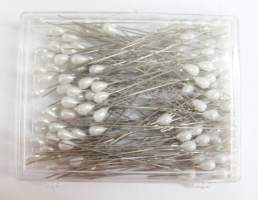 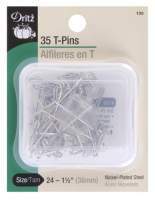 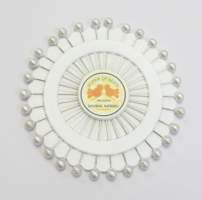 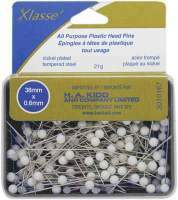 Large pearl pins - White (Can also be used as corsage pins) Approx. 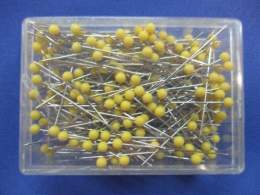 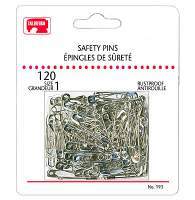 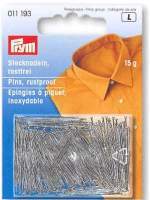 3.1" long 150 pcs.